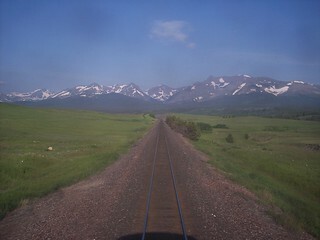 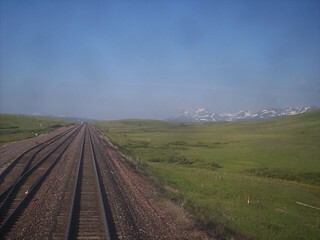 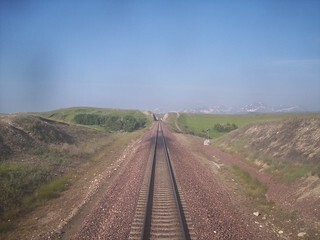 From Browning we head southwest, climbing toward the mountains. 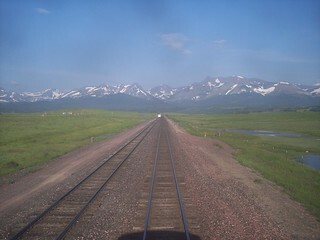 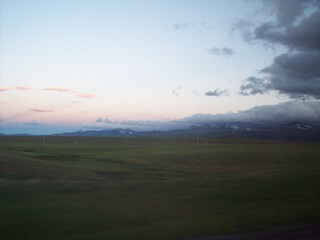 The mountains continue to grow in front of us. 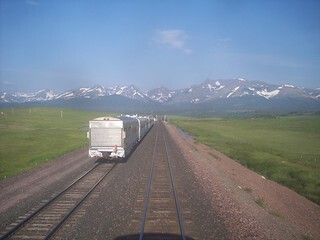 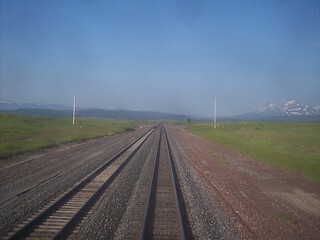 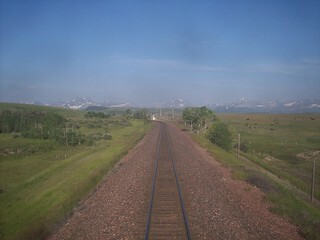 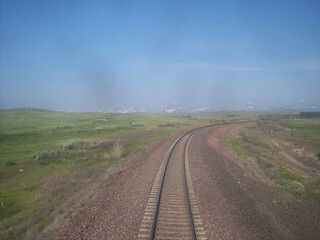 We pass a BNSF (employee) passenger train. 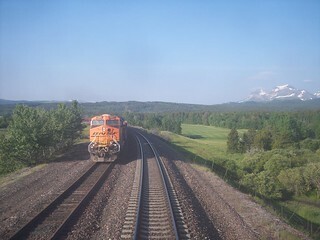 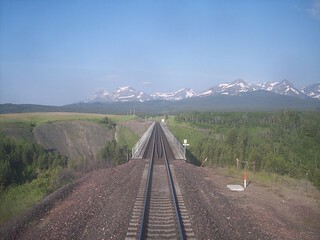 We also pass a BNSF freight train.